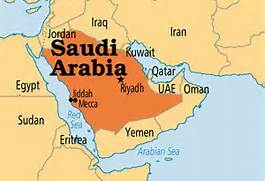 The Kingdom of Saudi Arabia occupies the largest part of the Arabian Peninsula’s land mass. Approximately the size of the U.S. east of the Mississippi River, the country is predominantly uninhabited desert. Having one of the lowest rates of rainfall in the world, Saudi Arabia suffers from severe water scarcity. It also has the distinction of being the world’s largest country without a permanently flowing river. As the birthplace of Islam, Saudi Arabia has two of the religion’s holiest shrines in Mecca and Medina. These locations attract millions of religious travelers annually. For centuries, nomadic, patriarchal tribes migrated through the desert lands with their animals, changing location with the season. 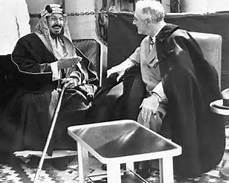 In 1932, ibn Saud, the leader of the Al-Saud family, unified the country after a 30 year struggle. Saudi Arabia is a monarchy. Its people follow a conservative form of Sunni Islam. The nation’s legal system is based on Sharia law, the king is the chief of state as well as the head of government. When oil was discovered in commercial quantities in 1938, the country began to make economic changes. After the oil price increases of the early 1970s, development took off. The government launched a series of five-year development plans, each in the range of $235-$285 billion. Funding went to the construction of water desalination plants, electricity generation and transmission networks, education, health services, ports, housing, industrial cities and petrochemical complexes. The investment in infrastructure and human capital paid dividends. In the early 1970s, Saudi Arabia’s population was 5.6 million with a literacy rate of 15%. The country now has 24 public and eight private universities. About 25,000 schools have been built, the students receiving free education, books and healthcare. There are around five million students in the system, with females making up over half of the student body. Today, the country’s overall literacy rate is 87.2%. The population has increased to 26.9 million, of which 5.5 million are non-national mostly foreign workers including over 30,000 Americans. 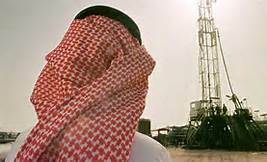 Saudi Arabia is the world’s largest producer and exporter of petroleum liquids. The Kingdom has one of the world’s largest crude oil reserves (656.9 billion barrels) and has the largest spare production capacity of all oil producing nations. Oil is vital to the economy, petroleum income provides the revenue for 80% of the national budget and accounts for 90% of export earnings. The rapid pace of development created many strains in Saudi society. The economic and social pressures pushing for more gender equality clash with the country’s deeply ingrained conservative traditions. Although the Saudi Royal Family has often been the driver of change, Saudi Arabia is the only country that prohibits women from driving. Under Sharia law, all females must have a male guardian, father, brother or husband. The strict segregation of the sexes is enforced. Even though there has been a degree of change, the country has a low level of gender parity. Women make up 17% of the labor force, the female literacy rate is 82% and 50% of working women have a college education. After Iraq invaded Kuwait in 1990, Saudi Arabia took in 400,000 Kuwaiti refugees as it became the staging area for western troops. Saudi forces participated in the military coalition that drove the Iraqis out of Kuwait. Although the continued viability of the ruling monarchy has been often questioned, it has proved to be remarkably durable. The two million Shia living mostly in Saudi Arabia’s Eastern Province have long complained of being marginalized. Faced with discrimination and a lack of opportunity, they are viewed with suspicion by the Sunni majority. 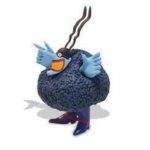 Perhaps unfairly, they are seen as a conduit for the spread of Iranian influence. Saudi Arabia has demonstrated a mastery of infrastructure development. When the conservative nature of the population is considered, the accomplishments of the past 43 years are impressive. Although the Saudi government is often criticized for slowness in addressing political and social matters, the country’s ability to manage its transformation depends on both internal and external factors. Saudi Arabia’s location in a volatile area, regional power rivalries and global oil supply issues are always lurking in the background.